For opening hours information, please contact Linden Ridge Shopping Centre directly. Linden Ridge Shopping Centre offer more than 19 brand name stores. 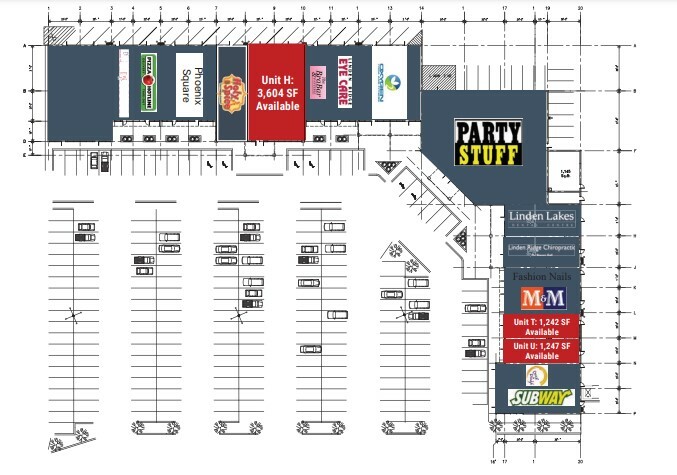 Linden Ridge Shopping Centre is located in Winnipeg, Manitoba - 1715 Kenaston Boulevard, Winnipeg, Manitoba, MB R3Y 1V5, Canada (GPS: 49.819196, -97.19809). Look at the list of stores in Linden Ridge Shopping Centre, hours, location and information about mall and special events, sales, coupons. You can choose store from list below and get detail information - other stores locations for the brand, location, shopping hours, phone, map, directions contact. Linden Ridge Shopping Centre is one of the best shopping place for spend your free time - mall/shopping center has all types of stores - outlets, department, fashion, traditional and more. Have you ever visited Linden Ridge Shopping Centre? Do not forget to write shopping review and rate your satisfaction. Linden Ridge Shopping Centre is anchored by Canadian Tire (owned parcel) The Brick, SportChek, Marshalls, Petsmart and Dollar Tree. The shopping center is located midway between Polo Park Shopping Centre and St. Vital Shopping Centre, includes such large national retailers as Canadian Tire, Costco, Home Depot, RONA, Sobeys and Walmart. In 2014, Artis completed an 87,000 square foot addition raising the gross lease-able area of Linden Ridge to 187,911 square feet. Marshall’s, PetSmart, SportChek and Dollar Tree have now joined The Brick Warehouse, TD Bank, Subway, M&M Meat Shop and nineteen other retailers. Linden Ridge Shopping Centre is located on the southeast corner of Kenaston Blvd & McGillivray Blvd. Give us your experience with Linden Ridge Shopping Centre by writing a short review.